A Dragon! A dragon! I swear I saw a dragon! A green and seething, fire-breathing monster is in sight! With eyes of red, a lion's head and wings as dark as night.Oh, he has a jaw of gleaming teeth, He's fifty feet in height! ROAR! 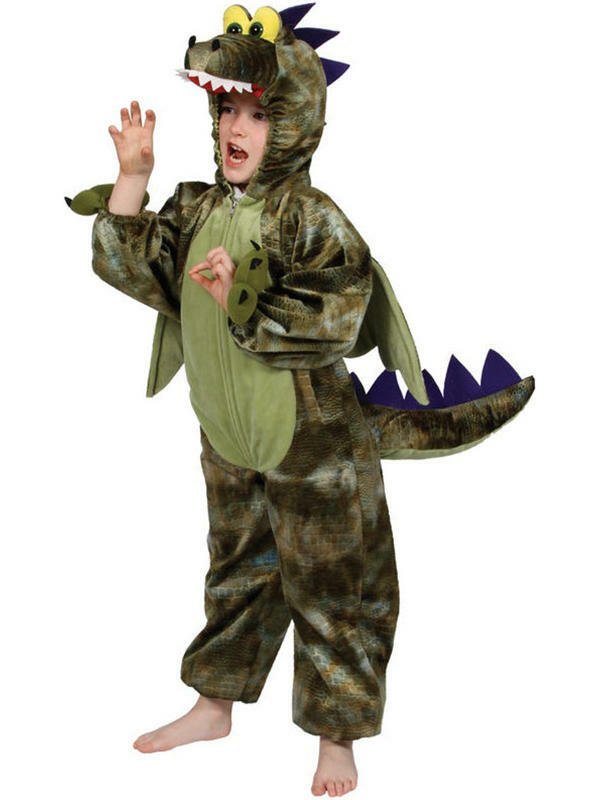 Better stock up on earplugs, because your child will be roaring and spitting fire in this dragon costume! Includes jumpsuit with hood and tail.